We've had many cases during the past century, and we have dedicated ourselves to finding the rightful heirs in each and every one. Read some of our more intriguing and challenging case histories below. Neighbors called her the "cat lady." Elusive in manner and disliked in substance, she did leave an estate of nearly $200,000; as well as a house full of wadded aluminum foil stuffed with $100 bills and love poems written to herself, as if penned by one of the hundreds of cats navigating the premises. With little more than rumors serving as investigative leads (she had once persuaded an acquaintance to pose as her and apply for a California driver's license), W.C. Cox and Company followed the faint trail of an eccentric life across the continent and back again. Eventually, all the collected leads came together in a bulging file and pointed unmistakably to the decedent's two elderly sisters. They had lost touch some fifty years before. Eight cousins stood before the court confidently claiming to be the sole heirs to $150,000. Since they all appeared to be paternal relations, W.C. Cox and Company began searching for possible maternal heirs. The eight cousins refused to discuss their family. As it turned out they chose the path of reticence with good reason. W.C. Cox and Company did locate maternal cousins. They, however, proved more honest than the infamous eight and openly admitted the decedent had a long-lost brother and sister somewhere "Out West." A protracted search discovered both in southern California; the brother in a dilapidated trailer park, his younger sister hardly better off scrounging for food in a supermarket dumpster. Declared the sole heirs to their sister's sizable holdings, both finally succeeded in walking away from misfortune. She was a Russian immigrant who together with her husband amassed a fortune of nearly $3,000,000. They traveled together from Russia, through China and Japan, before reaching the United States during the 1920s with little more than what they could carry. As the decades receded into memory, neither made a serious attempt to maintain contact with relatives. After their deaths numerous Wills began to surface. Suspicion heightened with the discovery of various irregularities regarding content and signature patterns. Convinced of the bogus nature of these documents, W.C. Cox and Company launched a lengthy and at times exasperating search throughout Russia and across Asia to identify all the lawful claimants. Blood heirs, as well as those of the pre-deceased spouse, were eventually found and established to the satisfaction of the court. All that remained was to battle those who kept filing one purported Will after another. This determined fight lasted more than a decade, but ended with the court ordering distribution to the rightful heirs. 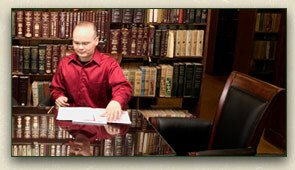 Thank you very much for your many courtesies and assistance with this estate matter. It has been a long road but obviously a beneficial one for us. Your company certainly provides a fine, much needed service. . . Keep up the good work." "I wanted to take a moment to thank you for your efforts on behalf of the heirs to this estate. The outstanding professionalism shown by . . . W.C. Cox and Company . . . in this matter has been a unique experience for me. Too often these days one experiences confusing information, misinformation, and no information in procedures as complex as the dissolution of [this estate]. It has been a pleasure to be a part of the various stages of the process." "We wish to thank you and your staff at W.C. Cox & Co. for making this money possible for us. Had it not been for your efforts, we wouldn't have known we were entitled to anything and it didn't cost us one red cent." "I received my check and I wish to thank you very much for the services rendered on my behalf. As I told Mr. Jarema of your Chicago office: 'I love your company.'" "I have often read about inheritances from 'lost' relatives, [but] never did I think that could happen to me. In two years I will retire. This inheritance will certainly make it a more pleasant one. Again, thank you for 'coming into my life'. May you continue to 'brighten' the lives of others, as you have for me."